Fashion is one of the industries that have kept up with the latest trends in running a business. Whether in production or marketing, the fashion industry uses every new means of manufacturing their products to meet and even exceed demands as well as every necessary tool to reach out to their target market and boost their sales. Having an eye-catching website is one of them, and while being creative, a fashion company or business does not need a regular website as it should be as innovative to be able to reflect their brand properly. Among the most web design trends is a clean but functional design, with a few effects and interactive elements that enhance the look of the website. As a web developer and website owner, there are many possibilities and options that you can do to your website to have powerful visuals that are unique to your company and help you stand out from the rest. 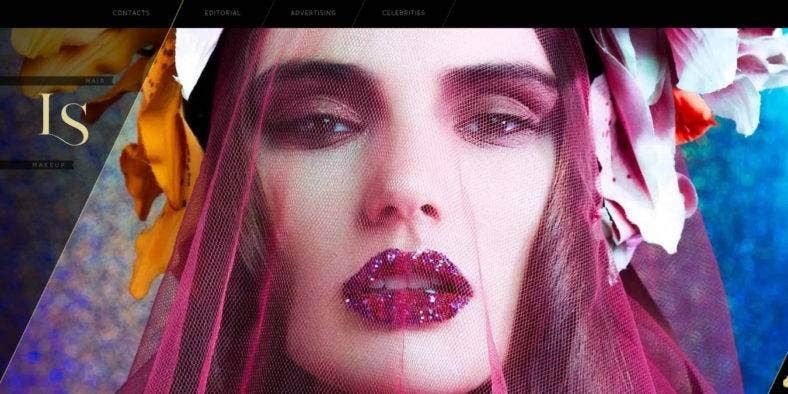 But if you’re not having any luck coming up with a new idea for your client or your next web project, here is an extensive list of clean and modern fashion web designs to get inspiration from. 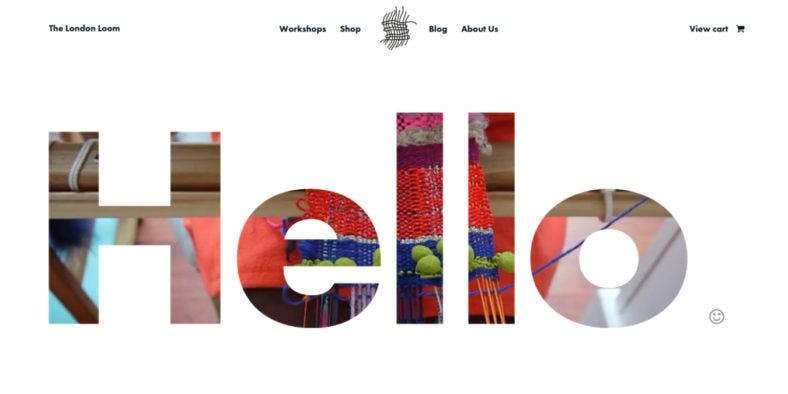 The London Loom is a drop-in weaving studio that holds workshops and teaches weaving to anyone who is willing to learn about the subject and textiles in general. With this kind of highly creative business, it is just right to have an equally creative website as well which perfectly represents the image and values of the brand. Just like how this website integrates a unique minimal design with a parallax effect, grid-style layout, round image icons, simple typography, lazy loading, and so much more over a a clean background with an ample amount of whites spaces, so as not to veer the audience’s focus away from the content and highlights the imagery more. 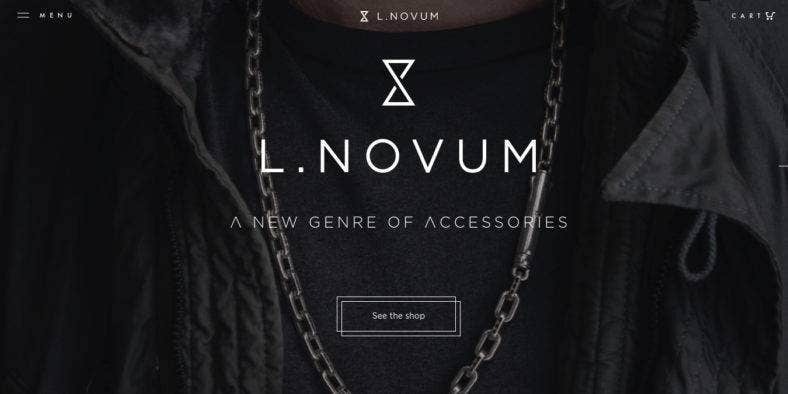 L.Novum is an accessories company with an edgy taste for the modern and contemporary man. 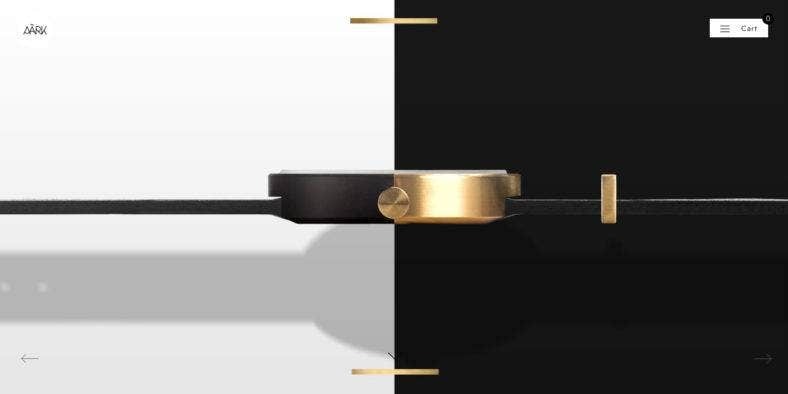 They create men’s rings, bracelets, and necklaces made of sterling silver with a unique matte black texture. And that is what their online web portal also looks like as it helps market their high-end jewelry accessories and pieces to their niche market. With an overall dark aesthetic with various textures as you scroll down its one-page website layout, this website also features an image background with stunning animations, a modern kind of simple but beautiful typography, fabulous ghost buttons with unique frames, and more. It is as meticulously crafted as its products. Storq is a company that offers stylish clothing essentials for maternity, nursing, and parenthood. Despite its not so common niche, the business is quite successful in catching the attention of its target audience with the use of a minimalist style on its website, which has a clean design that is easy on the eyes. As an eCommerce website as well, the company’s modern website design is also attributed with essential and useful features than any online shop needs. It has a header slider with a video capability to showcase hot deals, product promos, and events as well as a pretty product display with an attractive Shop button to ensure a great shopping experience. 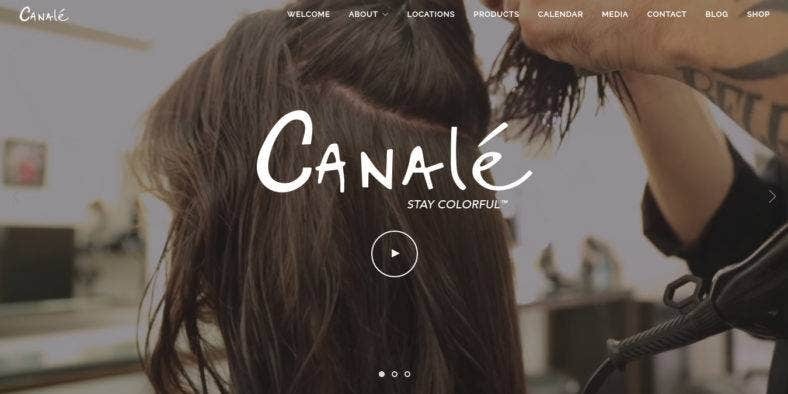 Canale is a salon business built by Micheal Canale, who is one of the most sought-after colorists in Tinseltown, Hollywood. With a well-known personality at the helm of the business, it is just right to have a modern and fashion-centric website that displays the many and famous works of its patriarch. One of the most eye-catching features of this website is the video header showing the going-ons in the studio. It also features the key people in the business as well as some photos of their different branches around the world. This helps validate the integrity of the business and exudes professionalism which brings about customer’s trusts. 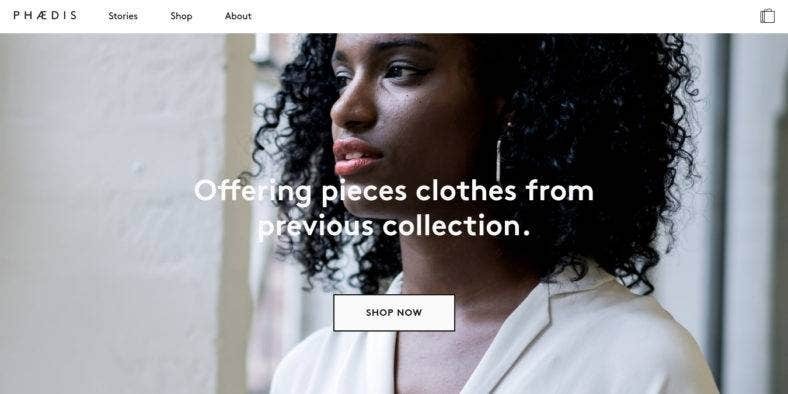 Phaedis is another clothing company but with a commercial storytelling platform which is a great marketing strategy to sell some fashion designers’ previous collections. In this way, all the pieces that have walked the runway before will not go to waste, instead, they will have a new life in the hands of those who truly appreciate them. Like a fashion blog, the website presents different stories about each collection as well as sell some of these items on its eCommerce sections. 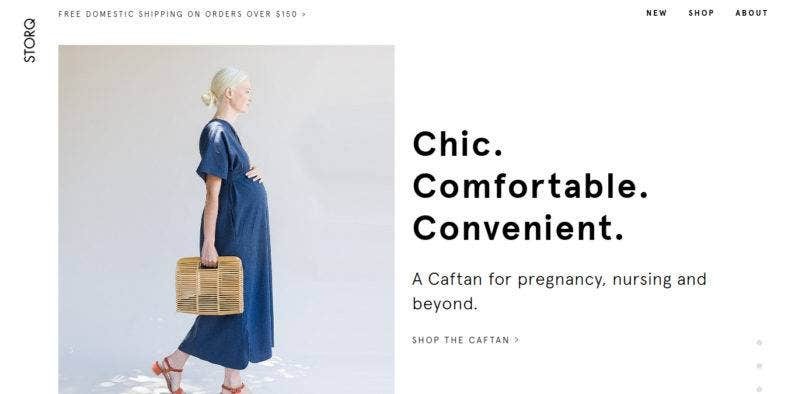 With an eco-friendly vision, the website presents a clean and simple design which perfectly represents the noble cause of the company, which is to encourage people to dress sustainably. 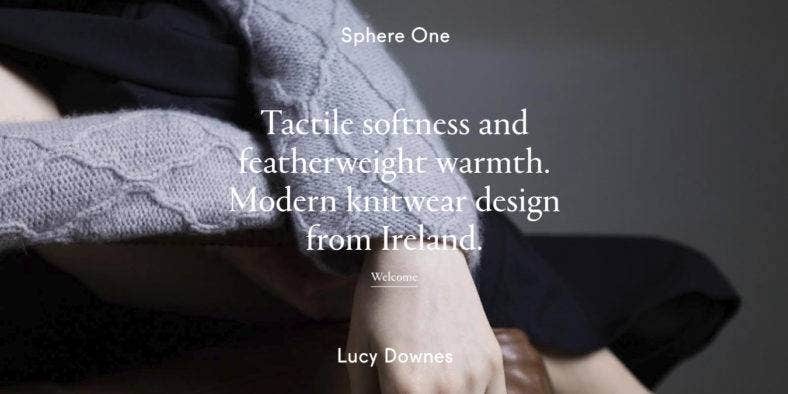 Sphere One is a modern and conceptual knitwear company with a state-of-the-art website to boot. With such a high-end product comes a high-quality online portal that represents the image of the brand well. So, the website incorporates some of the latest and trendiest web design practices which make up a simple but functional website. Among these trendy web design ideas is the one-page layout with parallax and lazy load effects. These features do not only provide a modern take on its design, but it also gives a striking visual appeal to the website that surely catches the audience’s attention, while its clean and straightforward layout keeps visitors on the website. 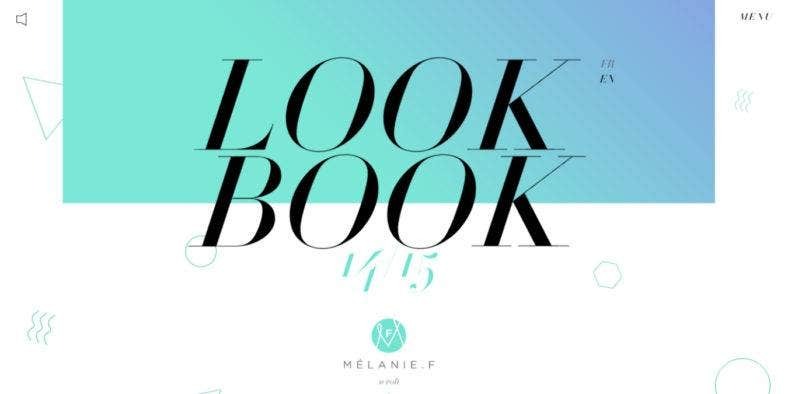 Melanie F. is a footwear company who focuses on creating slippers for children that offers a different vision in which slippers become not just a functional object but is a fashionable item every stylish kid should have. To coincide with such bold and unique view, the company’s website also comes with a one-of-a-kind design that you can’t ignore. Entering this web portal, you will be met with a luscious piano background music that will surely delight all your auditory senses. To stimulate your visionary senses, the website also features animated graphics floating all over the page, along with lazy load and parallax effects to provide its audience the ultimate user experience. 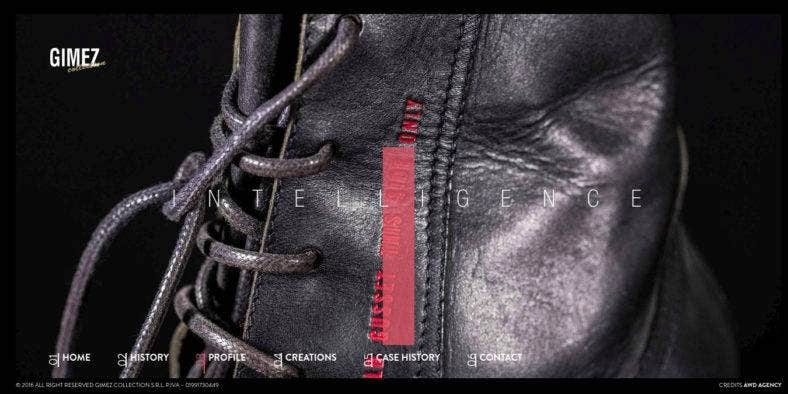 Gimez, on the other hand, presents a rather dark website design that gives off a revolutionary feel that is perfect to represent a stylish brand of shoes from Italy. Such a high-end brand like this can only be handled with the most contemporary web design ideas as seen on the company’s website presented above. First of all, it has the latest left-to-right layout with stunning animations and effects giving the website strong visuals which will surely appeal to the avant-garde fashionistas whose looking for a superior footwear brand to update their closets with. Its unconventionally-placed main navigation menu also offers a unique user interface without compromising its functionality. Maison Ullens is another high-end clothing brand and fashion label from Belgium which offers quality clothing items as presented on its uniquely modern website. Featuring a full-screen product feature on a left-to-right layout and stunning effects, the design offers ample space to highlight each product from a certain collection. Other unique features that this business website have includes a hidden main menu that opens o the side and displays the other pages of the website. This is practically useful when doing seasonal campaigns for specific collections. It declutters the page and let the viewers focus more on the advertised content which is an effective visual strategy. Ambassador Watches is a traditional watchmaker company that manufactures incomparable timepieces for every gentleman out there, distributing their products to every part of the world. The business conveys class and sophistication, just like how its website exudes elegance and style which is a perfect way to speak for the brand’s image. This website has a beautiful design aesthetic as shown in its simple layout that helps highlight the content more. With a dark background, it gives the product images more depth and substance which is really eye-catching and attractive. It also puts the essential information on one page, so the homepage is not crammed with details. 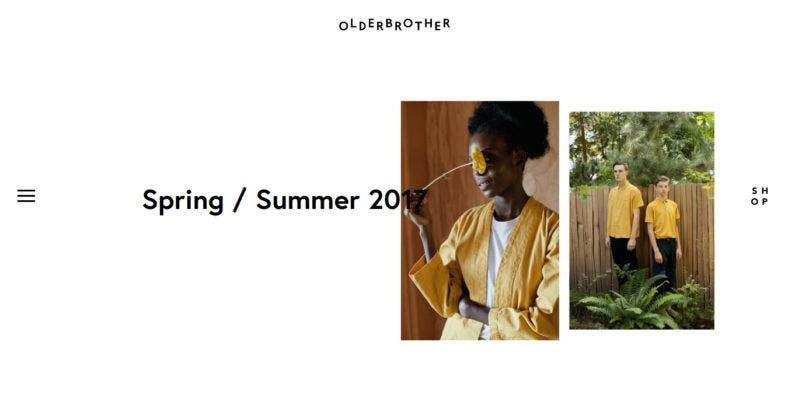 Olderbrother is a revolutionary fashion brand from Portland that produces eco-sustainable clothing products using naturally-dyed fabrics and churns out gender-neutal contemporary collections. This type of vision for the environment requires an equally sustainable web design which is shown in its clean and minimal layout. The website features a blog-based content feature that is presented in large sections with image backgrounds and stunning hover effects. Other pages are hidden in a sidebar menu which lessens the clutter in the homepage. Its online shop is also presented with a subtle link at the other side to provide enough white space to let the content shine. 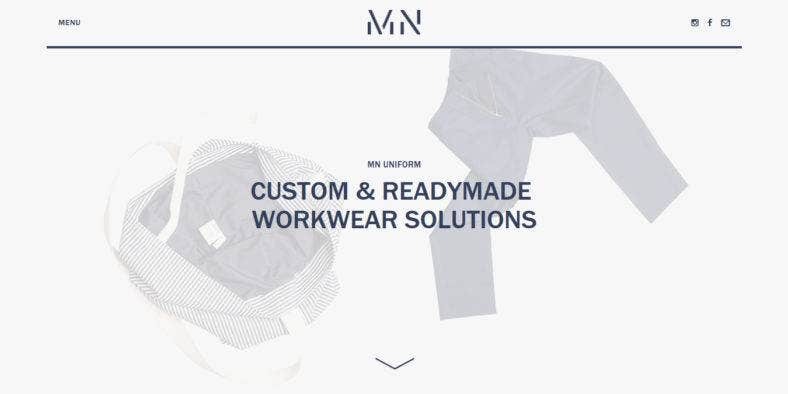 MN Uniform is a clothing company that provides custom and ready-made workwear and uniform. Although some of these work uniforms are for the gritty environment, it doesn’t mean that they can’t have a clean and modern website to feature their products and services, as well as a responsive one to reach more audience. Aside from that, this website also features a minimalist style in its typography and product display, allowing more white space to direct the viewers’ focus to the most important part of the website, the content. Its one-page layout also provides an easier navigation and a better user experience for your visitors. 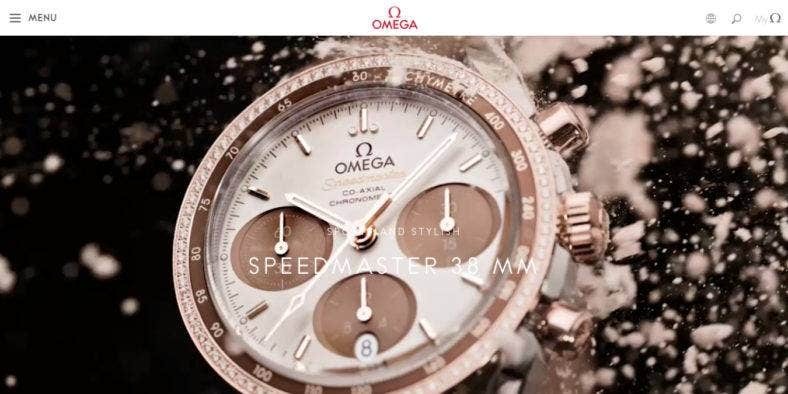 Omega is one of the most popular brands of timeless watches and classic timepieces. Being as well-known as it is, the company only need to churn out a simple but highly functional website to market and sell their products. Just like any other business websites, theirs feature attributes that are familiar to the regular web surfer. To optimize the website’s content, it features a fullscreen image and video header with a slider and video integration. Also, a hidden side menu takes away most of the clutter that can be found in other homepages. Its large and high-resolution images, stunning effects, and gorgeous fonts also adds to the site’s visual appeal that no one can resist. Wndrlnd is a creative business idea that has developed into a cultural movement for hair professionals with the aim to foster their artistry and ingenuity. 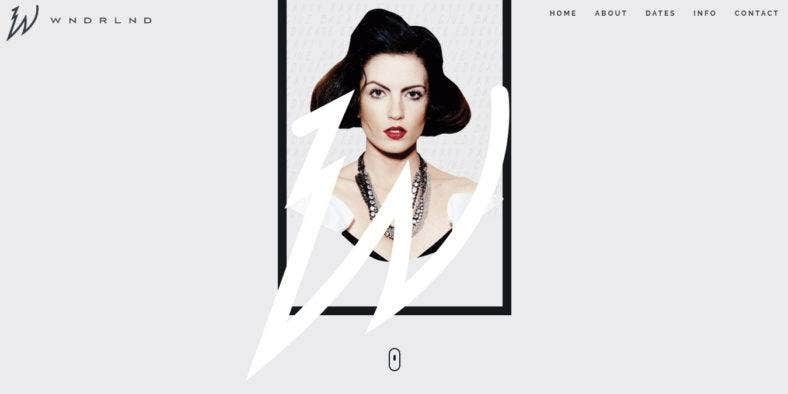 With such vision, they created an extremely stylish, although minimal, website. With bold typography and an eye-catching full-screen header with an animated image, this website really speaks for the company. Other features include a one-page design with an unconventional content layout that is clean yet modern at the same time. It also features a sleek imagery with trendy hover effects and animations, making the website appeal to more visitors and clients. Also, the website is fully responsive so, it looks great on any device. 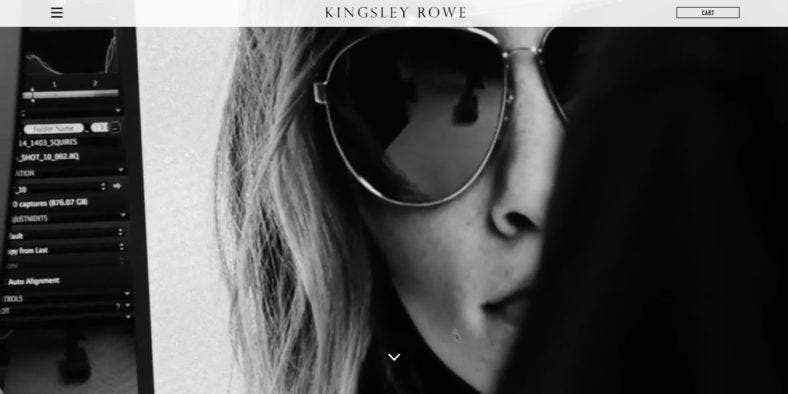 Kingsley Rowe is a famous brand for stylish and modern eyewear distributing a variation of eyepieces around the world. And its website perfectly embodies the image of the brand, with its parallax effect and stunning imagery on a one-page layout. Its responsive design allows the website to adapt seamlessly on all devices. More importantly, the website displays high-resolution product images that show every detail of item. This is one of the most effective marketing strategies which help any potential customer visiting the site to make a decision and start shopping. It also has a sick-to-the bottom Menu and Cart link for easy navigations and great shopping experience. 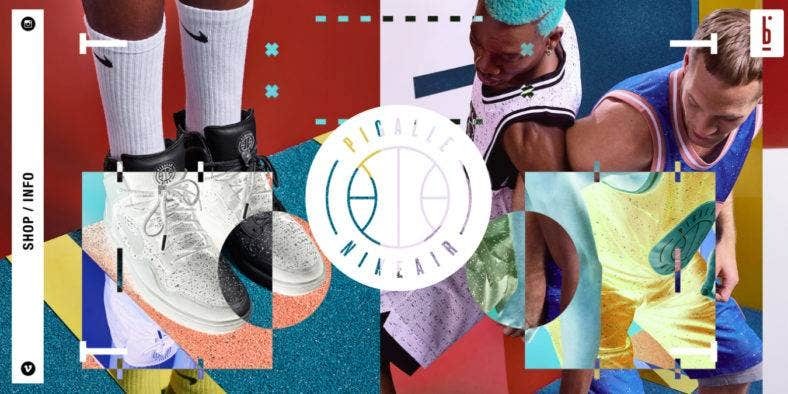 Pigalle is a design company that designs and manufactures sports apparel which reimagines traditional basketball silhouettes through the use of layers, mixed proportions, and pop colors. Although the presence of various colors may overwhelm the eyes, its website, as presented above, has a unique layout that is modern and contemporary. Using the latest left-to-right web design, the company is able to showcase their revolutionary products with great graphics and awesome imageries which result to an artistic representation of a basketball court. On the left side, you can find the main menu which gives the audience an easy way to access the website’s content. 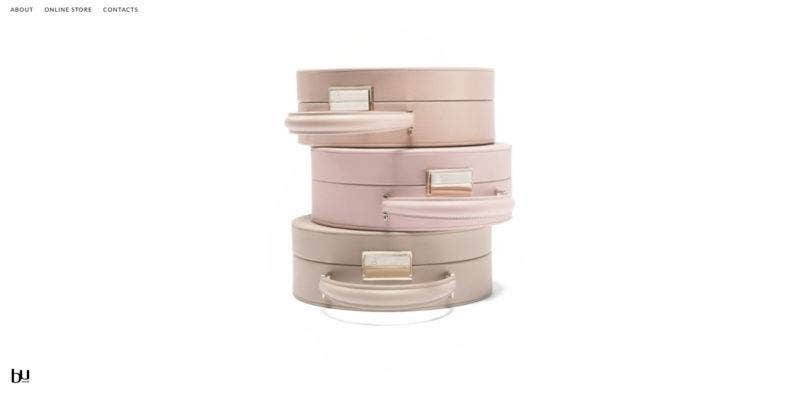 Buwood is a bag company with a design philosophy to create perfect bags that are timeless and unique, which is perfectly presented by their clean and modern website that boasts of flawless minimalism and beautifully balanced aesthetics. It uses a simple color scheme with shades of white to make the product images shine. Along with their high-quality items which are presented with large and high-resolution images scattered throughout the site, it also features gorgeous typography and a minimal main menu tucked on the upper left-hand side of the screen in order to take away all the clutter on the page. Furthermore, its online store features a grid and list layouts for better viewing. 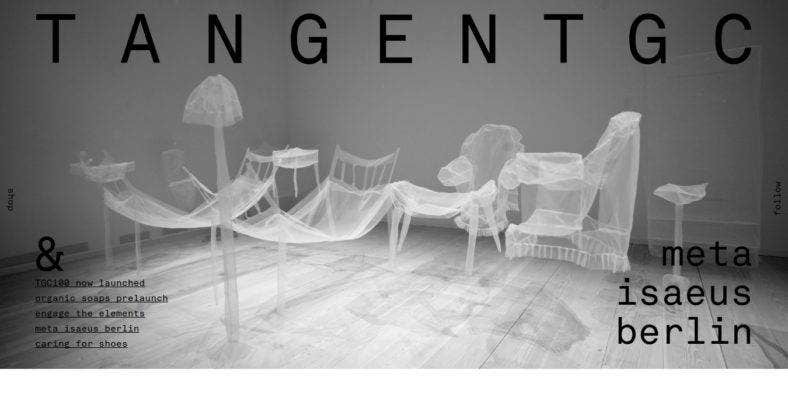 Tangent GC is another eco-friendly business that specializes in making eco-friendly garment, shoes, and skin care products with a passion for quality craftsmanship. Its own web portal shows an ultra minimal web design with simple typography and simple imagery which perfectly represents the vision and mission of the brand. The website features an image slider at the top which is used to promote newly launched products, product discounts and promos, as well as some product-related events for marketing and advertising. It also displays products in high-resolution images with the puepose of catching their audience attention and interest. 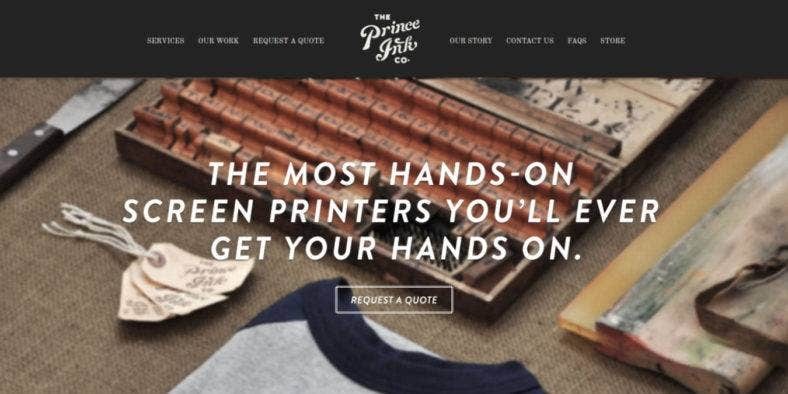 Prince Ink has a contemporary type of business that uses traditional processes to churn out products and perform services for customers who wants the old school ways of decorating garments, and we’re talking about silk screen printing. Although silk screen printing may be outdated in terms of the available technologies, the company does not seem to be bothered. They were able to create a modern website with modern functionalities. It is simple and clean, with the essential CTAs presented right on the front page, whether you want to know the company, see their previous works, or request for a quote. Furthermore, it is designed with a vintage style to stay true to the company’s image. Zulu and Zephyr, on the other hand, is a lifestyle brand and an independent boutique label which provides swimwear and beach apparel to interested consumers. Its laid back style is clearly shown with the quality and design of its website, along with lots of filtered images that speak for the brand. Aside from that, the website’s online shop presents a clean and ideal web design idea for eCommerce websites, with hoverable large images that allow viewers to check on the details closely, with different sizes readily available upon hover, and subtle price indicators over a white background and 3-column layout. Sandra Lovisco is a hair and makeup artists for fashion, editorials, and advertising campaigns. With such as glamorous job comes with an equally gorgeous website, as shown above, that is characterized by unique layout which perfectly highlights the works of the amazing artists. This portfolio website is nothing but definitely state-of-the-art. To start with, it is designed to optimize the space for images, so it is displayed through the whole screen in order to display all the details that the viewers need to see. It is also integrated with an image slider with a beautiful fade effect to transition from one image to another. Also, it has unique main navigation menu that is elegant and modern. 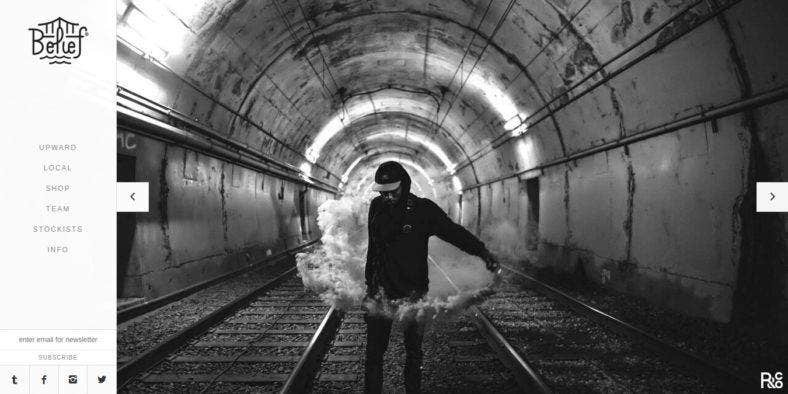 Fade or Eddy is another clothing label with a unique vision as represented by its two-column website. It is unique and modern in such a way that the two pages scroll the opposite direction at the same time when you move the page. The two sides present different but related information which is so unconventional and one-of-a-kind. This web design style can be used for edgy and extraordinary businesses just like this company. You just have to make sure that the content you put works well with the unique layout. This style can also be applied to single-product websites, especially those that are part of a collection, no matter if it is big or small. Aark is another watch company that is run by creatives who values quality and organic processes. 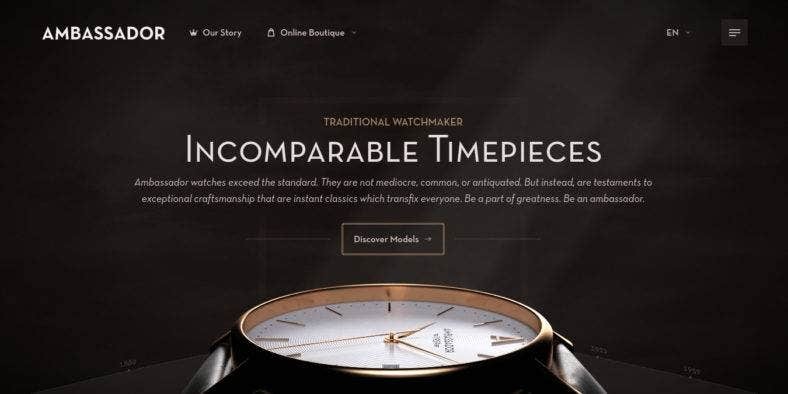 Nonetheless, they have such a modern website that helps showcase their products in a unique way through a combination of professionalism and creativity. It is clean and minimal with an ample amount of imagery to represent the company. On the page, you will be presented with a stunning slideshow featuring beautiful images of items from their collection. Scrolling down the page, a gallery is pulled out with a clean masonry style layout, while the images in the gallery serve as links to different parts or pages of the website which you can see through cover. 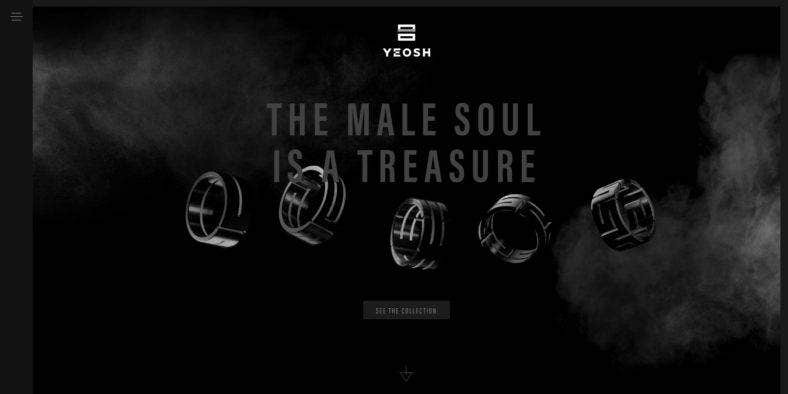 Yeosh is an accessory company for men, with its futuristic and edgy design that calls for an equally innovative website architecture. A dark-themed website with stylish typography and mystical background, it embodies the image of the brand perfectly and attracts different types of the audience especially its target niche. The website’s responsive design adapts well to any screen sizes of every mobile and desktop device, and looks good anywhere its potential customer may have viewed the website. Even so, it features a simple one-page layout so as not to overwhelm its visual appeal and provide a right amount of needed content. 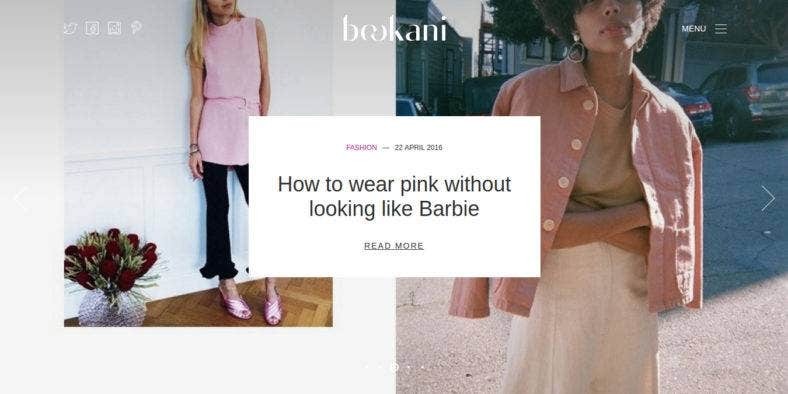 Bookani is a blog style website exclusively made for fashion. It has a classic blog style layout with articles organized by dates and arranged in a list but with a unique twist. Aside from previews of the subject in the article, it also features an image preview with a beautiful hover effect to attract readers and traffic. On top of the page, it has an image slider with a stick-to-top menu for easy navigation, a clean background to highlight the content more, a Twitter integration for social media reach, and a clutter-less layout which only consists of the basic and essential elements of a blog layout. It also has a neat sidebar menu for easy navigation. Belief is a streetwear brand with products ranging from headgear to footwear. Despite its rustic nature, the company found a way to present their products in a minimal and modern way by using a monochromatic color scheme that goes all the way to their blank and white photos. Through this, they were able to create a comprehensible image for the brand. Large and high res back and white pictures dominate the whole screen when you go to their website. Integrated with an image slider, you will be presented with the different items they offer. The sidebar menu is also a great way to provide their visitors a great experience through easy navigation and tons of image references.